A Swiss company called Multanova may very well become the biggest enemy of all speed limit offenders in Europe. Multanova has revealed their TraffiStar SR590 super speed camera which can monitor up to 22 cars over a maximum distance of 500 meters. The new TraffiStar SR590 super speed camera uses 3D radar tracking technology to spot red light and speed offenders while providing digital photo documentation. Apart from red light and speed offense, the TraffiStar SR590 can also monitor the distance between two vehicles, turning restrictions, pedestrian priority and even overtaking. If the TraffiStar SR590 does all the things its manufacturer says it can do, it could become the most powerful tool of the traffic police. Even more, it could eliminate the need of a policeman, since it can detect most of the serious traffic violations. At the same time, it will also become the most hated thing on the road today. 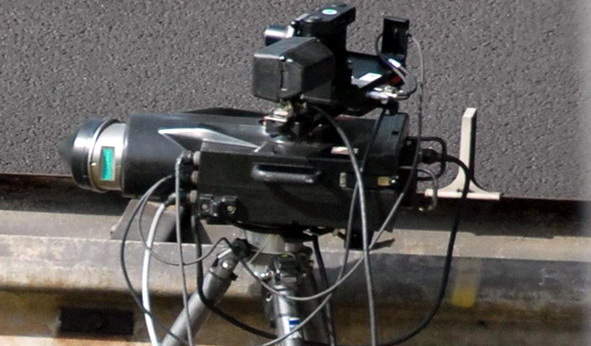 Currently, the TraffiStar SR590 super speed camera is being tested in various locations across Geneva in Switzerland.